Former 19 Kids and Counting star Jessa Duggar Seewald gave birth to a baby boy five days ago and, while her birth announcement and gender reveal were essentially ruined by her sister-in-law, Jessica Seewald, Jessa and her husband Ben Seewald have been completely tight-lipped about what they have named their new bundle of joy. The couple has promised the show’s fans that they will be revealing the baby’s name “soon,” but have yet to post it. The couple even asked fans for their guesses as to what the baby’s name is and, apparently, there’s a good reason for that! On Monday night, Jessa posted a hymn about her baby boy to her official Facebook page. When one fan asked her why she and Ben had not revealed their baby’s name yet, Jessa gave a surprising answer. While Jessa may have no clue what she wants to call her son, she is certainly smitten by Baby No Name. “Every time I stare into his face, I can’t believe he’s mine! I feel blessed beyond measure!” she told a fan who congratulated her. Before the baby’s birth, Ben and Jessa had announced that they do not plan to follow Jessa’s parents’ lead and give all of their children names that start with the same letter. 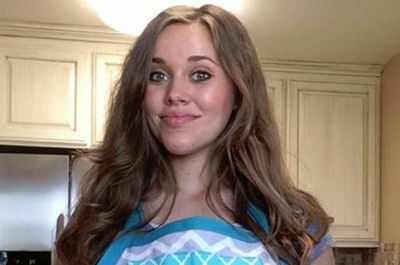 The Seewalds’ scramble to choose a name for their baby will likely be included in one of the upcoming TLC specials featuring Jessa, Ben and Jessa’s sister and brother-in-law, Jill and Derick Dillard. The first of the specials is set to air in December. You have 9 months to decide on a name. No excuses. It’s a damn media ploy to get people to keep going to their page to ~anxiously await the announcement. *groan* Are they seriously going to be ‘those people’ who leave the hospital with “Baby X”? Name him ‘Ben Bob’, and if it’s that big of a deal you can get it legally changed later. I’m kind of embarrassed to admit this because I’m 33 and have a child (that was named the day he was born) but I didn’t think you could leave the hospital without naming the baby. You actually have up to one year, to give your baby a name, and register for a social security card. I know this because my 22 year old daughter was brought home without a name. We just had several picked out, and couldn’t decide. We waited a few days to see what fit her the best. The hospital told us it was fine, that we had a year to name her. So Ally Belle it was! They had the time to hint that it could be twins despite knowing they weren’t having twins…but no time to figure out a name. Mmmkay. Let them run the dog and pony show. This is their bread and butter. Neither of them have jobs or much of an education, they need to make a living for their new baby. Besides I like hearing about the 101 Duggars. Give me a break! They are using this stunt just to keep attention (= $$) on themselves. They’ve probably had baby names picked out before they were married. I’m pretty sure they’re prolonging their baby news fever since Ben’s sister blabbed the other info. I’m sure that’s on Jim Bob’s orders. Do we think Ben’s sister has been in the biblical doghouse ever since? That isn’t a poem Jessa put on her wall, it is an old hymn. I grew up singing it in our church for many years.